All our Corporate Executive Coaching engagements are custom-made to fit the specific needs of your organization and of the leaders we coach within the organization. By aligning the development needs of the individual with the objectives of the organization, we further the leadership capabilities within your company and increase leadership effectiveness. 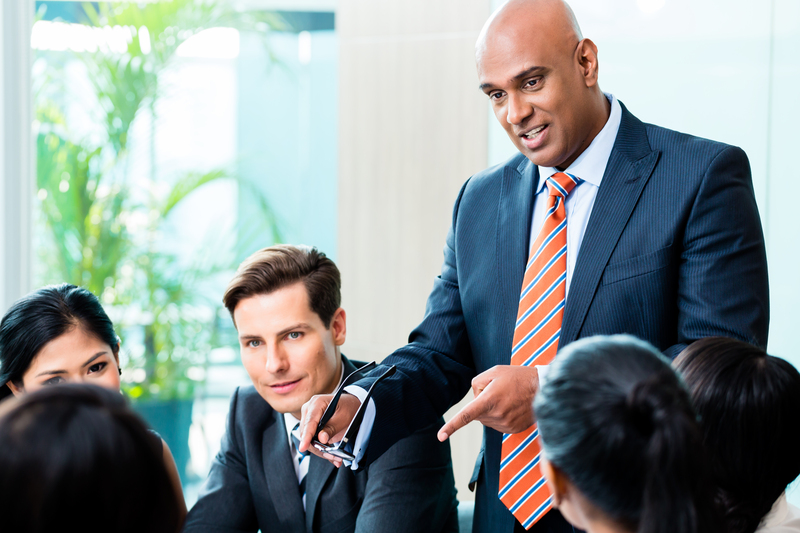 Our Executive Coaching Programs are focused on C-suite executives, senior leaders, middle managers and high potentials. The Corporate Executive Coaching process promotes self-awareness, includes customized assessments and develops action-oriented planning, along with constructive feedback and accountability to ensure the most effective results. Executive coaching can be combined with a confidential 360 feedback process to increase a leader’s understanding of how he/she is perceived in the organization. A confidential 360 feedback process helps increase a leader’s understanding of how he/she is perceived in the organization. Managers, peers, direct reports and others in the organization are interviewed around topics of strengths and areas of development for the participant. Typically certain themes emerge. The 360 feedback will highlight unique strengths to leverage as well as areas of development that a leader may either not be aware of, or may not appreciate the consequences of. A 360 can be a catalyst for positive change and coaching on the results of the 360 helps the leader use this information to accelerate advancement. The entry point to this synergistic process creates increased awareness and greater clarity about the current business situation and an individual’s leadership style. In addition to increasing leadership potential, the coaching engagement typically focuses the executive on the company’s strategic business objectives, such as setting strategic direction, prioritization of initiatives, the processing of innovative business ideas and/or models, changing a team culture and improved team communications. We address specific opportunities and challenges the leader is facing. Through a dynamic dialogue and collaborative partnership, combined with a variety of assessments, we help clients create a greater awareness about their distinctive strengths, areas of development and opportunities for growth. Assessments and data collections can be comprehensive or more limited, depending on a company’s need. The data collection can take a variety of forms, such as 360-degree feedback, performance evaluation, personality and leadership assessments. We are specialized in many leadership assessment methodologies, such as the MBTI I & II (Myers Briggs Type Indicator), the STRONG Interest Inventory, the Hogan Leadership Assessments, and the 360 Clark Wilson Feedback process. These assessments are used to gain greater insights into clients’ values, interests and natural tendencies around topics such as communication, decision making, conflict resolution, and managing change. Each leader is different. Sustained success and fulfillment can only be achieved if a leader taps into his/her unique strengths to develop a leadership style that truly fits with his/her personality. Developing greater insight into the natural tendencies and unique qualities of the leader and supporting each leader to develop an authentic leadership style will not only bring about increased leadership effectiveness but also lead to a greater ease in steering a department or organization and therefore more fulfillment and engagement for the leader. With clarity about a leader’s unique strengths and opportunities for development, we help our clients identify clearly defined and manageable objectives, create concrete plans, acquire new knowledge, access advanced tools, and take the steps necessary to achieve the desired goals. Each action plan is unique to the individual clients and their companies. Depending on the length of the engagement, we typically address two or three main focus areas. An individual’s leadership growth and development hinges on increased self-awareness, broadened knowledge, the use of specific tools and techniques and the commitment to a well-defined action plan. To ensure this success, we incorporate a method for accountability and support. Progress is tracked and evaluated, and obstacles are defined and overcome in order to most clearly delineate an enduring course of action. The above-described process leads to achievement — allowing the leader to create a greater impact towards the vision of the organization, improving his/her individual leadership and communication skills, and experiencing a greater level of personal fulfillment. This creates a trickle-down effect in the organization towards his/her team and peers. Individual growth within a company’s executive leadership ranks permeates throughout the entire organization as overall efficiencies increase, communication is more effective and workplace culture and morale improve. We specifically target sustained achievement by developing a higher level of mindfulness and Positive Intelligence. While leaders’ knowledge of their field and their leadership skills determine their potential, it is their positive intelligence that helps them live up to that potential. This process requires a deeper level of self-examination and mindfulness in order to invoke a growth mindset and an authentically optimistic and solution-focused approach. As we understand that success is closely related to the building of strong relationship and high performing teams, we help our clients to develop Conversational Intelligence, leading to relationships embedded in trust, respect and collaboration. Ultimately, this approach leads to sustained achievement, where an individual can create his/her greatest impact and become more personally fulfilled. Our goal is not only to empower our clients to provide and develop new skills and behaviors, but also to encourage an individual to rethink his/her attitude and approach to short and long-term scenarios. Over-arching career, business and personal goals as well as positive resolutions to day-to-day impediments are envisioned with positive, realistic outcomes.